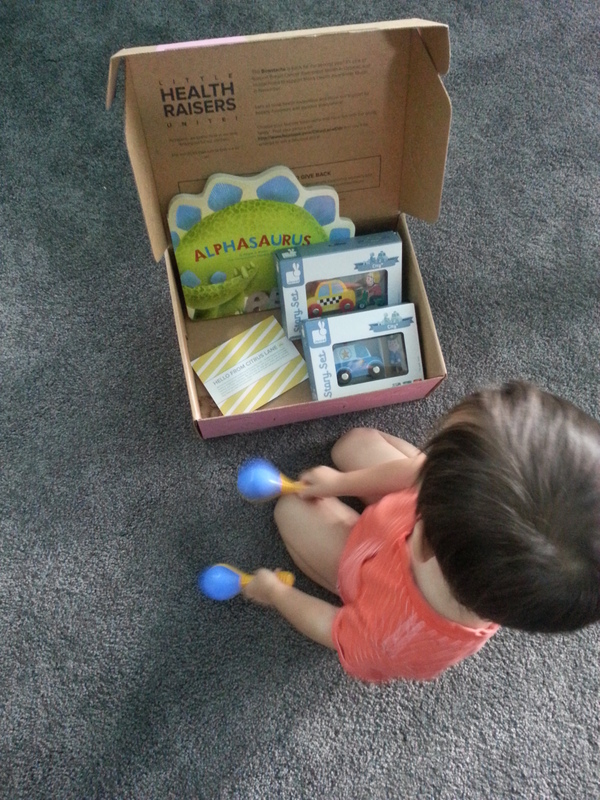 Bean’s October Citrus Lane box was all about building…building onto learning development and building a play city! Thank you for joining me here, on my Mama Bendia blog, where I’ll provide product reviews, talk mama-ness, things to do in Central Oregon, baby-friendly restaurants, and general musings! 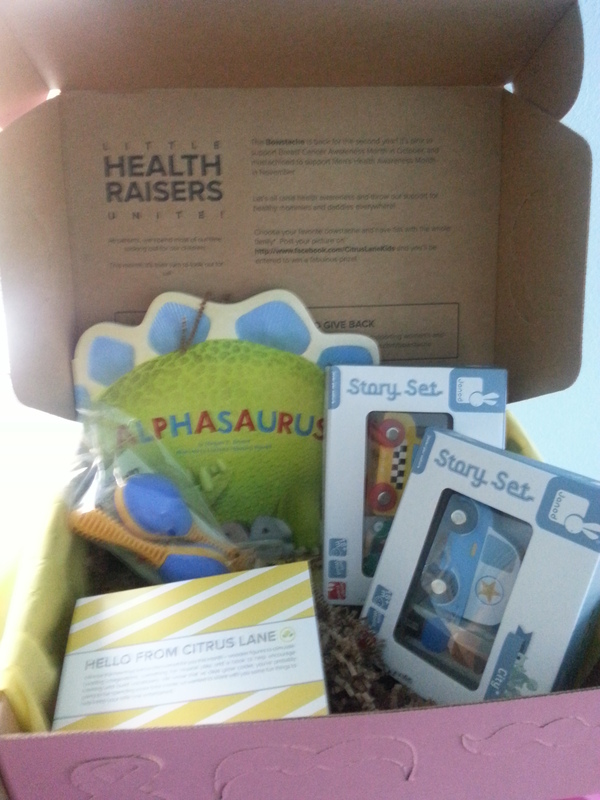 When we signed up for Citrus Lane, we provided age and gender of our little guy and, now, receive a wonderful box of age-appropriate goodies every month! On vacation in Sacramento, when Bean was about 7mths old, we found an adorable toy store in Old Sacramento. This store had a lot of great Janod items, this was the first time we’d seen that brand and we quickly realized it was a great toy brand! So, I was excited to see this toy brand in Bean’s Citrus Lane this month…he was equally excited! The little Taxi set includes a Taxi car with wheels that fit on a standard toy train track and a little dude on a scooter…cute! Oh! What!? He received two Janod City Sets! 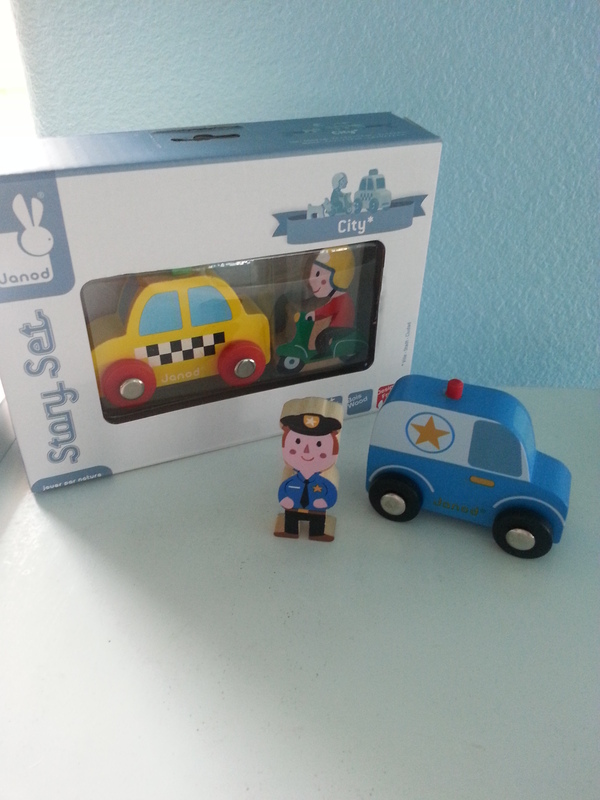 The second set includes a Police Car and Police Officer figure! OK…Now, we have a thing going in our living room! 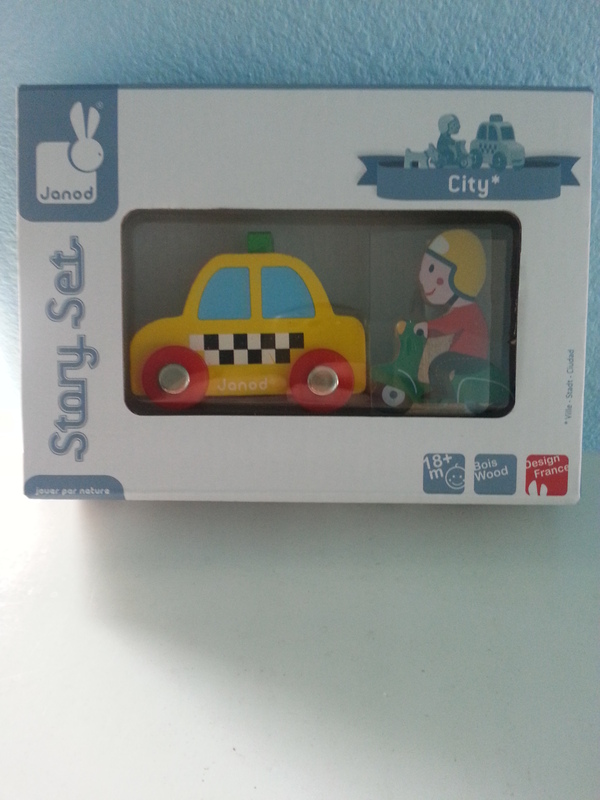 I think I should get some more of these little sets and more Janod play/city toys, in general! Of course, I can buy these on-line…but did you know!? Hopscotch Kids on Galveston in Bend carries Janod! We’ve received a few musical instruments from Hohner in the past…namely a Harmonic that Bean looooves! And a Tambourine that Bean would not let go of for a week, even taking a flight with it in hand! So, it was nice to receive more fun items to make music with and build upon his love of music. 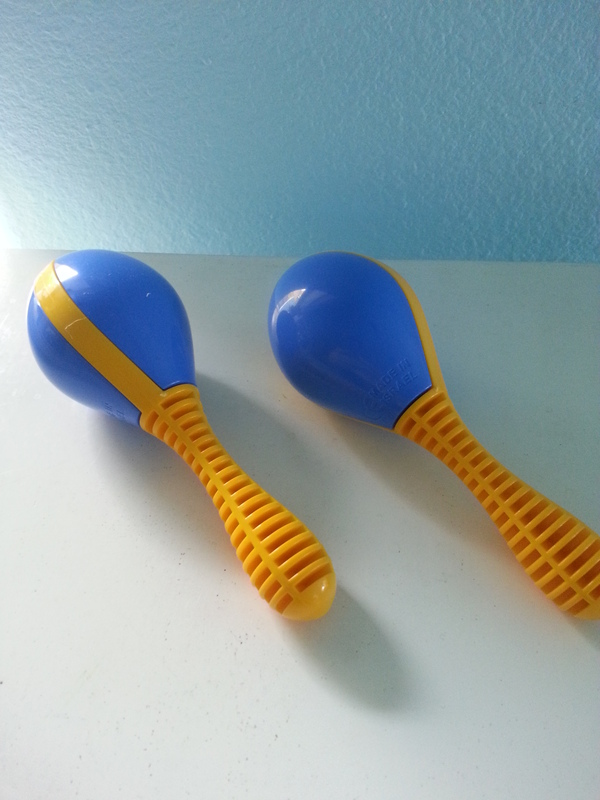 Bean was equally interested and pulls them out once in a while to shake a few beats. This month was a ‘pick your item’ month! And the options were various Dinosaur books…alphabet, shapes, or numbers. 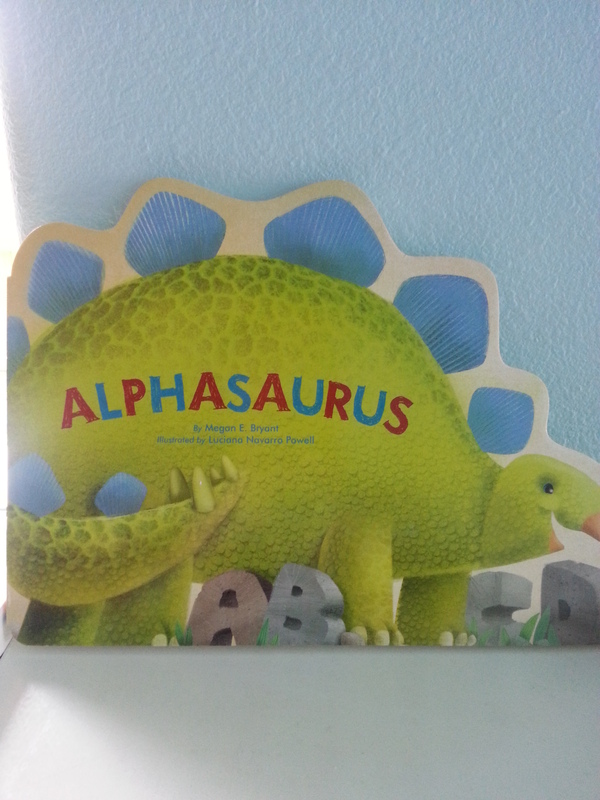 I decided to let Citrus Lane surprise me, we received the ABCs book, Alphasaurus! Pretty cute, and again, good timing, as this builds on Bean’s curiousity of the ABC’s…he’s even started ‘singing’ the cadence of the Alphabet song! The only thing is that I, actually, can’t pronounce all the names of the Alphabet Dinos! Ha! Get a whopping 50% off your very one 1st box here!